Vivid, intense and easy to fall instantly in love with. All those words and many more describe this beautiful yellow lily arrangement in a clear cylinder vase with curly willow accents. 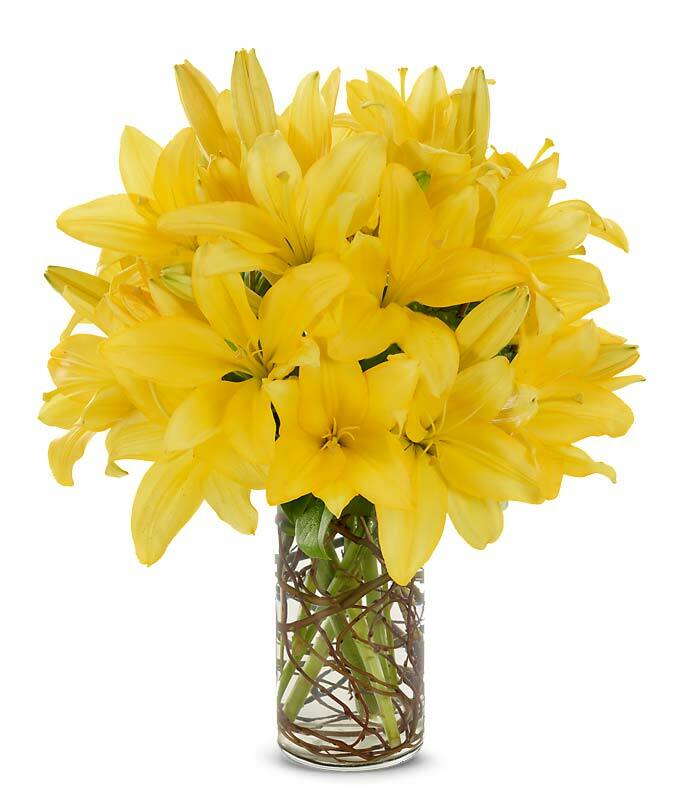 This very sunny inspired bouquet of all yellow lilies will make any room shine. Measures 18"H by 14"L.